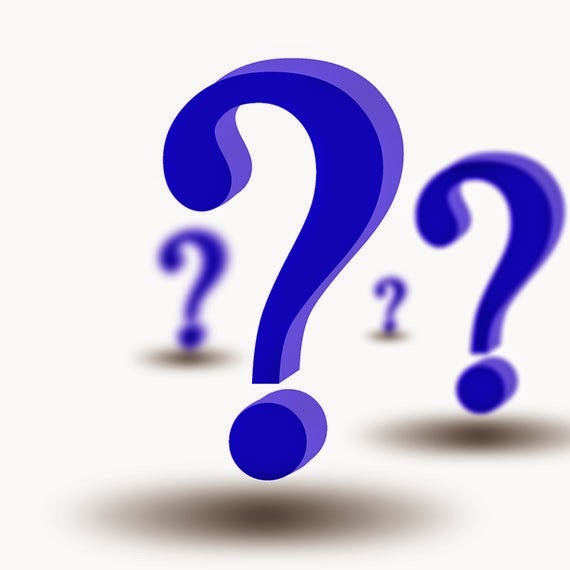 If you've worked in education for more than 20 minutes, you've probably heard a student ask this question. Extra credit has been and continues to be a common staple in classrooms all across the globe. I personally was a teacher who awarded extra credit to my HS German students when they brought in Kleenexes, markers, and even on quizzes when they could answer random questions correctly when the questions had nothing to do with German. I even one time gave extra credit to students who brought in my favorite candy. I saw nothing wrong with what I was doing. For the record, I openly and publicly apologize for committing a crime against assessments and a crime against my students because what I was doing was wrong on so many levels. For one, I was reinforcing socio-economic differences and discriminating against those students who didn't have the means to buy Kleenexes, markers, and my favorite candy. Those who had the means whether it was financial or just a simple car ride, were able to capitalize on these extra credit opportunities while others weren't. Also, a majority of the extra credit that occurred in my classroom had nothing to do with students and their learning of German. Heck, many didn't have any educational value at any level for that matter. Lastly, and possibly most importantly, the extra credit I was giving was completely distorting and destroying any accuracy that I'd hope to achieve with my grading structure. I would work so hard to ensure my assessments were properly aligned and equitable for students based on their preferred method of mastery demonstration. Then, in one fell swoop, I would destroy it all by giving extra credit for stuff that didn't have any relation or connection at all to German. What I thought was perfectly fine was anything but fine. It was not until several years later that I recognized the error of my ways. Here's the deal, if you want your grades to be accurate and a true reflection of student mastery and learning, then you can't muddy the waters by giving extra credit. Also, I would urge you to avoid giving extra credit for doing 'more' of something as well. For example, a kid who does 100 math problems poorly hasn't demonstrated the same level of mastery as a kid who does 20 perfectly. So, are you going to take the plunge and eliminate extra credit from your classroom? What are your thoughts...? A battle that continues to rage in schools all across the globe is the battle about what to do when students turn their work in late. What about student ACCOUNTABILITY? What are we teaching them? What are they learning? Just turn it in whenever they decide. Deadlines really don’t matter. We are suppose to be educating them, not just on subject content. Why shouldn’t students be penalized if they can’t meet a deadline? 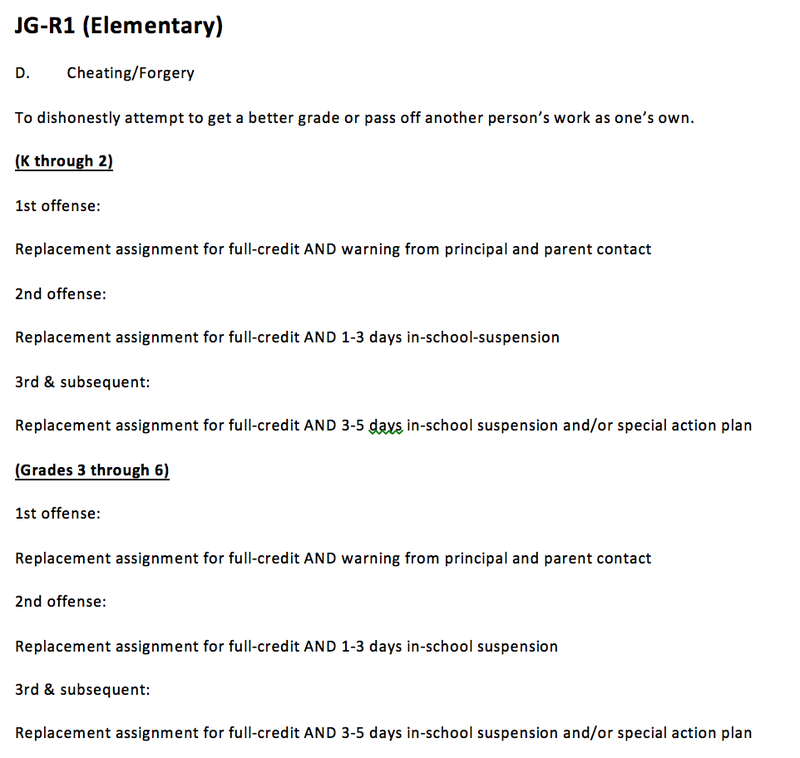 What incentive is there for a student to turn work in on time if there is no penalty? The IRS doesn’t care about deadlines, right? Your boss doesn’t care about deadlines, either. Work at McDonald’s? There is no deadline for making that Big Mac, right? You can take 4 hours to make it if you want. Do you think a college professor is going to accept a paper WHENEVER IT’S CONVENIENT for the student? How are we preparing students for the “real world?" Why don’t the little darlings just do what they’re supposed to and turn the work in on time? Enough of this pandering to spoiled brats. What’s the point of a letter grade students get at the end of the term? Shouldn’t it indicate the mastery of the subject matter? 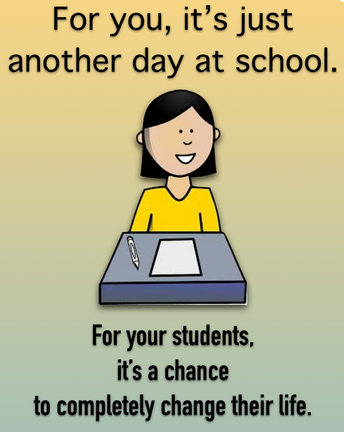 If so, why shouldn’t teachers accept late work? Penalties for late work distort the accuracy of the grade which has the sole purpose of communicating academic progress and mastery toward a particular standard. It’s a false assumption that students build moral fiber and respect for deadlines by slapping them with an “F” or a 0” for work not done. This teaches nothing but resentment and cheating. Teachers turn things in late all the time, as do workers in every profession. The idea that you can't get away with turning work in late in the real-world isn't true. To say it must all be done at the same level of quality as everyone else by this one particular day of this particular week flies in the face of all we know about how humans learn. We all learn at different rates and at different times. But if in the end, we expect and want our grades to accurately and precisely reflect what a student is able to do when it comes to a particular standard or learning objective, then we can't and shouldn't reduce a student's grade based on when the student turns the work in. Obviously we have quarters and semesters when we eventually have to finish out our grades, but until that date students should receive some sort of 'incomplete' or 'not yet assessed' to ensure overall grade accuracy. As educators, we should teach responsibility and accountability, but those need to be separate and not tied to a student's academic mastery grade. Academic indicators must be kept separate from non-academic indicators to ensure the accuracy and fidelity of both. Obviously teaching is a word that gets used quite often in the education setting, but I push you to try and eliminate it from your everyday vocabulary. When we say 'teaching,' we are talking about what we the educators are doing or not doing. Though this important, we have to ask ourselves where the kids are in this conversation. Instead of saying 'teaching,' let's start saying 'learning.' This will quickly and easily shift our focus away from us the educator and place it on the students whom we serve. Think of it as going from teacher-centered to student-centered. The word rigor has quickly transformed into something we say all the time though it more times than not doesn't actually mean what we think it does. By definition, rigor is very much based on a 'severity of strictness, inflexibility and harshness.' Now, I don't know about you, but when I think of education and I think of students, those really aren't the words I want associated with what happens in education. Having said that, what I really think we are meaning to say is 'appropriate challenges.' So, let's stop saying we are trying to increase 'rigor,' and let's start saying that we are trying to create an environment that 'appropriately challenges' our students. Have you ever heard someone say, 'Hey, I'm going to go do some professional development!' I'm assuming you probably haven't, and if you did, they probably weren't doing it on their own accord and were probably fulfilling some required district mandate. Professional development has become a negative thing for many folks because they see it as something done 'to' them rather than 'with' them. More times than not they are unfortunately correct. Instead of saying 'professional development,' let's start saying 'self-directed growth' which puts the ownership back on the individual and allows them to be empowered and responsibility for their own learning and growth. Far too often we say differentiated instruction because we have groups or centers of kids doing different things at the same time. Just because we have kids doing different things at the same time doesn't mean we are truly differentiating instruction. To help make this distinction a little more clear, I recommend that we start saying 'personalized or customized learning.' Similar to teaching, differentiated instruction is very teacher-centered whereas 'personalized & customized learning' is more focused on the students. Additionally, it's not just kids doing different things at the same time, it's providing kids a personalized & customized learning experience that meets them where they are, not where their classmates are or where we want them to be. Let's ask the most important question first... why do we have assessments? Are the assessments just so we the educators can accumulate and gather huge amounts of data? Or, are they a form of feedback and input that benefit both the educators and the students to provide a monitoring system to improve student learning? I hope we all agree it's the latter... So, let's stop saying 'assessment' and let's start saying 'input and feedback tool.' This will also help to show kids that these 'assessments' are used to help and support them in their learning journey, rather than end and limit. Most folks hear the word 'meeting' and they immediately start to cringe and get that fingernails on the chalkboard kind of shiver. The word meeting has overtime become a word synonymous for 'you sit and listen to me talk' kind of an event. Though folks with good intentions have tried to change these types of events to be more productive and collaborative in nature, the word meeting still evokes a negative emotion that many struggle to shake. I challenge you to replace the word 'meeting' with the word 'gathering.' When people talk of gatherings they are usually fun and people enjoy being there, so set the tone in a positive way and move away from meetings. 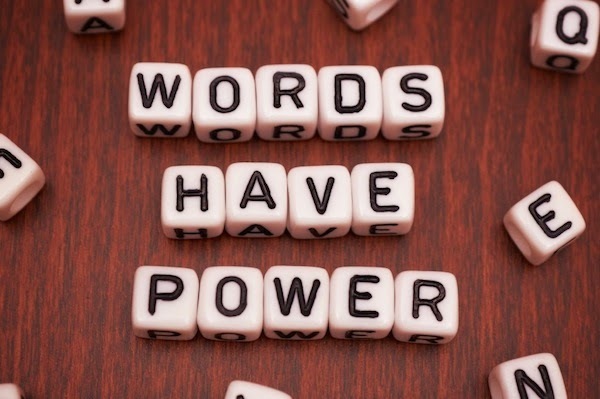 What do you believe we should stop saying in education? Feel free to share in the comment section below! So, I've been thinking a lot lately about change. Not just the type of change that comes and goes and fuels the 'this too shall pass' epidemic, but the type of change that endures. The type of change that is self-sustaining and the type of change that permeates throughout all levels of an organization. The type of change that hits you deep down in your bones. We all know about the 'low-hanging' fruit type of change. This easy change is typically what folks go for because they believe that it takes these little small battles before one is prepared for the war. It's these small changes that build confidence and credibility which in turn will increase the chances of success when it comes to larger more systemic and far-reaching change. I'd like to push back some on that approach and theory. It's not that I don't think it will work, but rather I think it's short-lived and superficial more times than not. These small changes are easy because people aren't really invested either way. There may be a few folks who are invested, but a majority don't really care which is what makes the change easy. 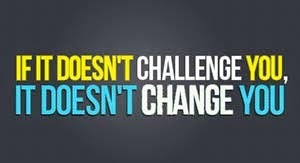 I'd like to challenge you to push for the big change. I'd like to challenge you to go for the hail marry grand slam version of change. When you find that topic that hits people in their area of passion, you've found your opportunity. You've found what people care most about and you've found something that goes to their heart. It's this type of change that builds long-lasting, enduring and sustainable cultural shifts because they touch almost everyone. The roots of this type of change go deep and are hard to break once established. Make no mistake, this isn't the easiest path. This won't be the quickest path. So, for the last few months, we've been exploring our beliefs on learning and how we assess and how we 'grade' our students. We've done a book study, we've sent folks to conferences, and we are fortunate enough to be having Rick Wormeli come and speak to our district in October in a two-day event. The traditional approach would have any student who cheats receive a zero on the assignment and possibly some kind of additional behavioral punishment. As a district we are moving toward ensuring that a grade actually represents what a student knows and is able to do and not their ability to make moral and ethical decisions. To stand behind this belief, we had to do more than just talk about it... we had to put pen to paper when it comes to our district policies. Now make no mistake, we aren't saying that cheating and these types of behaviors are acceptable, but we do believe that the behavior needs to be separate from the academic side of things if we want a grade to truly represent and reflect what a student knows. We will still focus on helping students to make moral and ethical decisions, but that progress and monitoring won't be included in a student's academic discussion. So, since folks are always looking for examples, below are our actual board of education policies as they've been recently updated to align with our beliefs on learning. Most recently, I led our 'new to district' staff members in a day-long orientation. The goals of the day were to talk about district vision, the beliefs we hold in regard to student learning, and lastly to have some conversation about a few topics the district will be discussing and exploring over the course of the upcoming school year. We had a group of 27 educators and many of them were first year teachers who've never officially taught before. We had elementary teachers, secondary teachers, SPED teachers and counselors, so our group was pretty diverse. This was the first time many of these folks have been on district grounds in an 'official' work capacity, so from the district perspective, we wanted the day to be great! We had donuts and coffee for breakfast and a great lunch from Pasta House. We had a jammed packed day full of discussion and group learning. I decided to send out a survey to get some feedback and input from the group in an effort to make improvements or changes for subsequent years. The survey was a Google Form so as soon as I sent the email I pulled up the responses document to watch the feedback roll in. "It was very monotonous and boring. Sorry! I understand the concept of trying to show new hires what the district is all about but most of the slides and lectures were things I've heard before, redundant, or condescending." So, maybe I was monotonous and maybe the day was boring. Maybe I was wrong in thinking it was a well-planned day that was executed effectively. 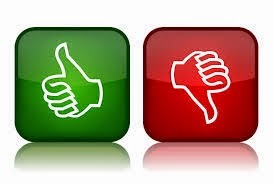 Either way, I will take this feedback and reflect on what I did to make improvements. I hold no ill-feelings about this comment and look forward to doing a better job next year. Remember, when you ask for feedback and input you have to be strong enough to handle what is shared... both the good and especially the bad. I thank this individual for this comment and look forward to changing their opinion of me as the year progresses. For the record, the survey was anonymous, so I have no idea who this individual is as it could be any one of the 27 individuals who participated in the orientation. So, how well do you take feedback...? For many of us, another school year is underway or will be very soon. Perhaps we are teaching the same content or grade level or are in the same role as the prior year. Perhaps we are planning to try some new things or approach a few things differently, but for the most part we are looking forward to tackling another year. But for many of us, another school year is just that, another school year. But here's the thing, it's not just another year for our students. Our students may not recognize it or realize at the time, but us adults know better. We've seen it happen and we know the possible implications. Young people experience so much growth in such a short time frame, so the time we spend with our students is of the utmost importance. Though it might seem irrelevant in the big scheme of things, each and every day we have the opportunity to work with our students is a chance to positively impact their lives. Each and every interaction we have with our students is an opportunity to influence another's life. The neat thing about influencing a life is that it creates a ripple effect that goes far beyond what any one individual can imagine. Our kids are hoping we try something new that will create a more relevant and purposeful learning experience. Our kids are hoping they get the opportunity to be a part of something that will positively impact the world. Our kids only have one chance with this part of their lives and they are looking to us to make it magical and worthy of remembering. Our kids only have one chance... let's not let them down. 1). Who is doing a majority of the talking in your classroom? It's the person who is doing the majority of the talking that tends to do the most learning, so what is the teacher/student talking ratio in your classroom? If you find yourself always talking more than your students, try and figure out some ways to empower your students so they are more involved in the learning. So there's this misconception that learning must take place within the four walls of a classroom. In spite of popular belief, the magic barrier between a classroom and the outside world doesn't work like a light switch where learning can occur and can't occur. Learning is happening all around and should be happening all around us; there are no limits or barriers to where and when learning can occur. Take the authenticity of your classroom to the next level by mixing up the learning landscape and allowing kids to learn in a more natural state. What you think is important and relevant may not align perfectly with what your students think is important and relevant. If we the educators are constantly telling students what to learn and how to learn it, then we are leaving out the most important parts of the education process, student voice and student choice. Embrace a learning culture where student opinions and student interests are valued and encouraged and you will see student engagement and student passion skyrocket. 4). How often are you including physical movement in your classroom? Research is quite clear that physical movement has a huge impact on brain activity and brain health. Too often though our classrooms reward and reinforce student compliance and students sitting quietly in neat little rows. Allow your classroom to breathe some fresh air (literally) by taking short walking and physical activity breaks. Think about it this way... in a 50 minute period students will start losing brain activity around 20 minutes, so the next 30 minutes are minimal brain activity at best. Try after 20 minutes taking a 10 minute physical activity break and get another 20 minutes of good brain activity for a total of 40 solid minutes of learning when compared to 20. 5). Is your classroom going to measure up to the dreams and hopes your students are entering your classroom with? Sometime during the 14/15 school year, I challenge you to schedule a full-day school visit at one of the schools in your district. Now, this isn't your run of the mill school visit where you have a few meetings scheduled and you visit a few classrooms in between touching base with folks in the school. I'm talking about a full-day school visit that you schedule and plan in advance. I'm talking about a visit where you arrive when students start arriving. I'm talking about eating breakfast in the cafeteria with students or sitting in the gym with students until school starts. I'm talking about going to your locker and getting the things you need for your first class of the day. I'm talking about navigating the halls and getting to all your classes on-time. I'm talking about leaving your phone and laptop at the office and spending an entire day in a school doing exactly as students do. I'm talking about no email and no administrative duties for the day. I'm talking about doing classroom activities and assignments and being one of the classroom students. I'm talking about sitting in classes all day long and planning restroom visits based on when the bell or teacher allow. I'm talking about an experience that will quickly remind you what it's like to be a student again. Will you take a full-day to rub elbows with our most important clients, the students? Full disclosure... this idea was shared with me by Ty Crain, one of the principals in my district. I have full intent of taking him up on this offer and wonderful idea. Thank you Ty! I've been thinking a lot lately about my 'yes' to 'no' ratio. Basically, I've been thinking about how often I say 'yes' to something vs. how often I say 'no' to something. I'm even trying to take it a step further to consider the implications of how I say 'yes' and how I say 'no' to questions and requests. Too often I think we don't recognize the effect such a simple word can have on those around us, so I'd like to explore the different ways we say 'yes' and 'no' and how those differences affect those with whom we interact. You are telling the person who made the request that they have complete freedom and control over what they've requested. The person leaves feeling fulfilled that they got a 'yes' but they also leave feeling that you really aren't that interested in what they are hoping to do and/or accomplish. 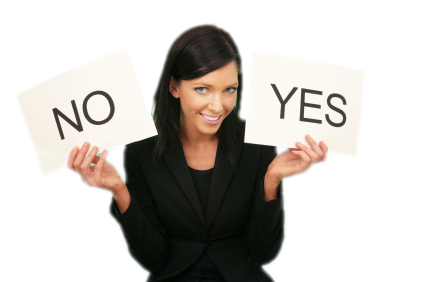 Simply saying 'yes' provides little guidance and minimal investment on your end which can leave the person making the request susceptible to doubting your support. You are telling the person who the made the request that you are OK with them moving forward but you really don't trust or have complete confidence in what they are going to accomplish. The 'but' you added on comes with either restrictions or stipulations that don't leave the person in ultimate control over what they are trying to accomplish. This person leaves being glad they got the 'yes,' but they also recognize that there is an underlying feeling of discomfort on the other end that puts limitations on the task at hand. You are telling the person who made the request that you are happy and encouraged they are interested in accomplishing this task. The 'and' that you added on comes with the freedom and autonomy to take the task to the next level knowing they have your full support and backing. When you add the 'and' it shows excitement and instills confidence in the other person as you are acknowledging that this is a good idea and it's worthy of developing further. You are telling the person who made the request that you don't support and are not interested in accomplishing this task. You are also telling this person that you don't trust them enough to really provide any kind of justification or reasoning behind why you said 'no.' A 'no' alone will make it very difficult (but not impossible) for this person to ever approach you again with a proposal or an idea that they would like to accomplish. You are telling the person who made the request that their original idea may be flawed and may be not worthy of accomplishing, but there is still a glimmer of hope. This phrasing may be disheartening at first, but you are leaving a small crack in the door for the person to improve the idea or pitch and think about coming back a second time to try again. Hint, if you are always the 'no, but' person, then people will eventually stop coming to you, so if you use the 'no, but,' use it sparingly and use it only when you truly mean it. You are telling the person who made the request that there not only isn't any chance of getting this idea to pass, there is also very little chance of getting any future ideas passed. The 'and' with a 'no' really takes the wind out of someone's sails and all but guarantees they won't ever come back to ever ask you for anything ever again. If you are looking to create an environment and culture where people only do the bare minimum and just what they are asked and no more, then use the 'no, and' statement. Life is full of making choices. Life is about attitude and perspective. 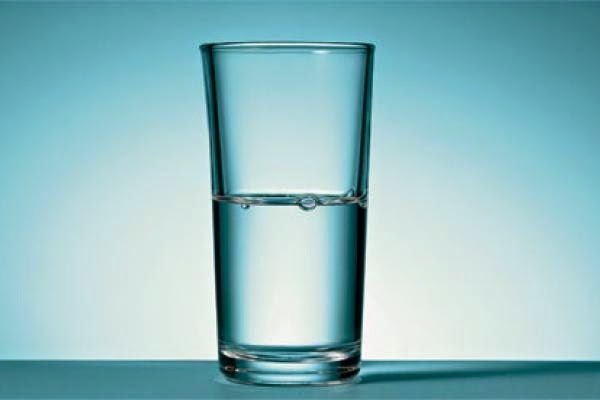 We all must choose to see the glass half full or see the glass half empty. Perhaps you have a larger class size than usual... though more challenging, it's an opportunity to positively impact a larger group of students. Perhaps you didn't get the resources and materials you were hoping for... it's an opportunity to think outside the box and get creative with how you present information and the learning opportunities you create for your students. 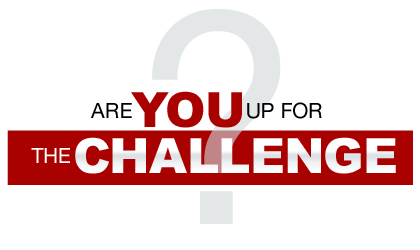 Perhaps you got a group of students who are rumored to be 'challenging...' it's an opportunity to give someone a second chance and an opportunity to grant a fresh clean slate. Perhaps your administration has been less than supportive in the past... it's an opportunity to invite them to see what you are doing more often and an opportunity to make them a part of what you are doing to positively impact and engage students. Perhaps you lost one of your veteran teacher leaders to retirement... it's an opportunity to build capacity with your existing staff to allow for new teacher leadership to emerge. Perhaps you are being micro-managed by those in the ivory tower and you feel you have no autonomy... it's an opportunity to protect and further build trust with your teaching staff; additionally, it's an opportunity to invite those higher-ups to check out the awesome stuff happening in your building. Perhaps you are limited on time to work with staff on student learning due to all the fires and day-to-day operations of the building... it's an opportunity to take a hard look at your priorities and figure out what can be held off until after school hours to maximize in school time. Perhaps you have a group of toxic staff members who are plaguing the entire staff... it's an opportunity to reinforce and praise those who are not just good educators but are also good members of the team; it's an opportunity to lift up and empower those who want to do great things for students in your school. Perhaps your child is in 'that' teacher's classroom this year... it's an opportunity for your son/daughter to experience one of life's challenges; life isn't always fair, so the sooner they learn this important lesson the better. Perhaps your child is starting to hang around with 'that' group of students... it's an opportunity for you to teach your child about the different cliches and groups that exist in life; it's also an opportunity to speak with your child about what they want out of life and how they plan to work toward achieving it. 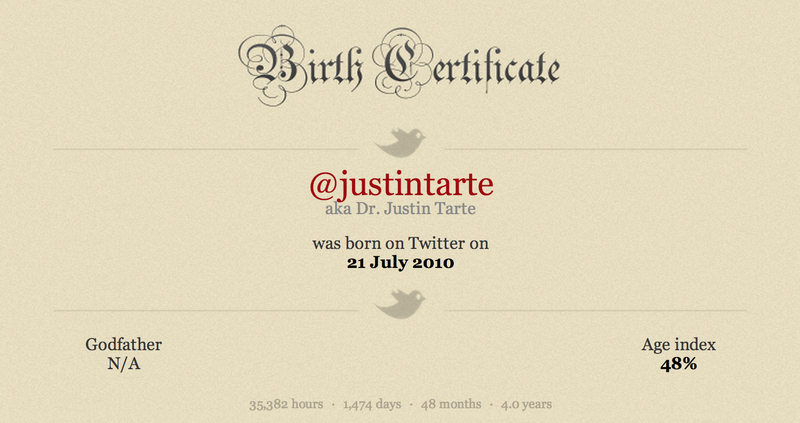 When I started Twitter some four years ago, I didn't really know what I was doing or what I was hoping to accomplish. I had no expectations or rationalization for what I was going to do. I owe this all to my buddy @cmcgee200 for pushing me off the ledge as otherwise I might not have entered the Twitterverse. Fast forward four years and I couldn't be more pleased that I joined the ranks of thousands of educators who are using this tool to network and customize and personalize their individual growth. 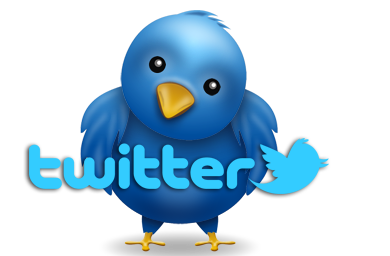 As I began to learn how I could use Twitter for professional learning, I became more and more interested. At first it was something I did when I had a few extra minutes. This then turned into something I would actually set time aside for. So, as I've continued to use Twitter I'd be lying if I didn't notice or care how many followers I have. At first it didn't mean much, but then as I got more and more followers it became something I would pay attention to. I focused on finding things I could tweet out and share that would result in multiple retweets which in turn would hopefully increase my following. I shared my Twitter handle on anything and everything I could with hopes of gaining additional followers. I've grown more professionally as a result of Twitter than all of my formal education combined. I've met people from all over the world who I never would have been able to meet as a result of Twitter. When a colleague asks for resources on something that I don't have information on, the more people who are following me the greater the chance I can find someone who has that information. When a colleague or group of educators are looking for someone to speak with on how to effectively use Twitter, I can confidently say that I model appropriate Twitter use. Lastly, I've had several opportunities to speak at conferences and in consulting roles as people have come across stuff I've tweeted. So, in closing, having a large number of followers doesn't necessarily mean or guarantee anything.